Your summer on Scilly starts… now! Home> Blog> Activity guides> Your summer on Scilly starts… now! With Chestnuts roasting on open fires and Jack Frost nipping at our noses, the summer holidays might feel like they’re a long way off. But book your Scilly adventure before New Year and you’ll have a wonderful holiday to look forward to once the excitement of Christmas Day has worn off. The popular Walk Scilly Week will be returning next year, as will the folk festival. Throughout the summer, many of the islands will also be hosting traditional fetes, which will showcase the very best of Scilly’s produce. From beach-combing walks to forager’s feasts and cider sampling; the events on Scilly are your opportunity to get to know the islands even better and to meet the people who live and work there. Here at Isles of Scilly Travel, we’re already gearing up for the 2016 World Pilot Gig Championships. Each year we welcome racers and their fans to Scilly, we even transport the boats over on the Scillonian III. It’s the biggest event in the islands’ calendar and we’re thrilled to be part of it all. If you’d like to visit the island for the gig-racing weekend, we’d recommend that you book soon- it’s going to be on the last weekend of April. We’ll be hoisting up the anchor and setting sail for Scilly on March 14th. The Scillonian III’s first trip of the year is always a special occasion as it marks the start of the season on the islands. 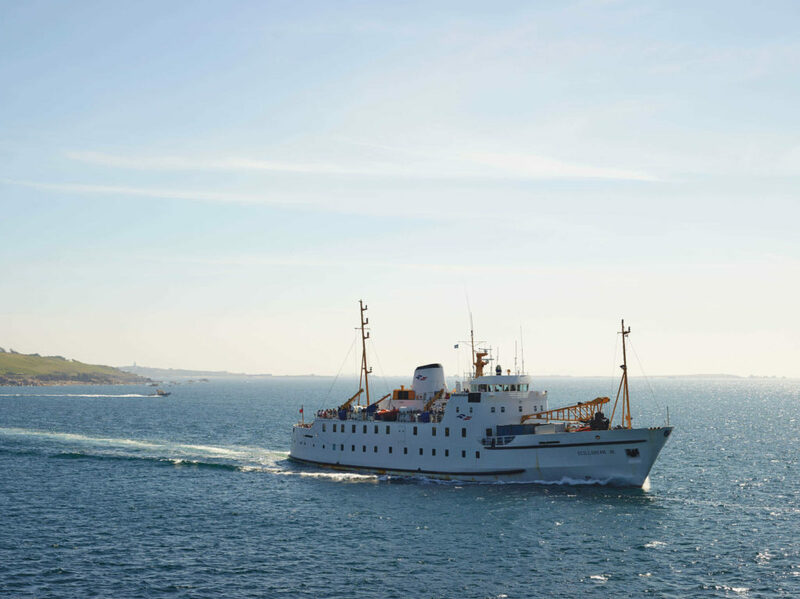 The Scillonian III sails past many Cornish landmarks, such as St Michael’s Mount, Mousehole harbour and the Minack Theatre, and dolphins are regularly spotted swimming alongside the ship. We’ve even spotted Minke Whales and a leatherback turtle on our travels, so it’s really worth keeping an eye on the waves. Skybus flights are available all year round, so you don’t need to wait until March to visit. 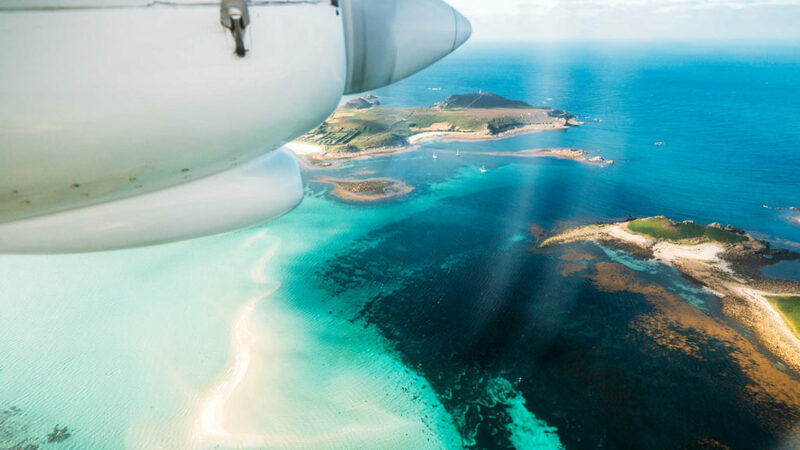 Flying to the islands is a wonderfully romantic start to your holiday- particularly if you fly from Land’s End Airport, which is used solely by travelers to Scilly. With its wood-burning stove and views across the airfield to the sea, you can start enjoying your holiday a little earlier. Book your flights or ferry crossing today and you’ll be one step closer to your island adventure. Flights are available from Land’s End, Newquay and Exeter airports, or you can sail to the islands on the Scillonian III from March onwards. We can’t wait to welcome you aboard next year.